The 2017 UNISON AGM will take place on Friday 3rd March, 2017 7PM @ EGO, Cook Street,Coventry, CV1 1JN. 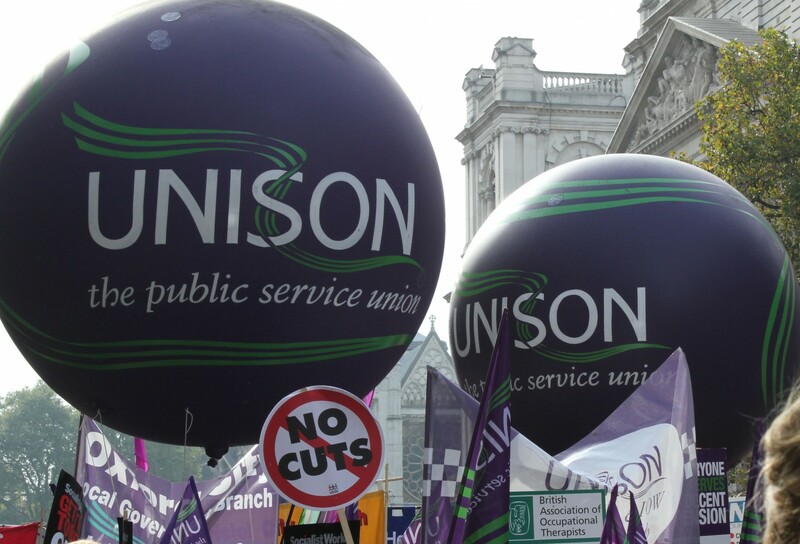 In preparation for UNISON’S AGM, members and reps are encouraged to make sure that there is a rep in every workplace, to ensure that UNISON members views are known and listened to. This will ensure we can work as effectively as possible in the face of unprecedented cuts. 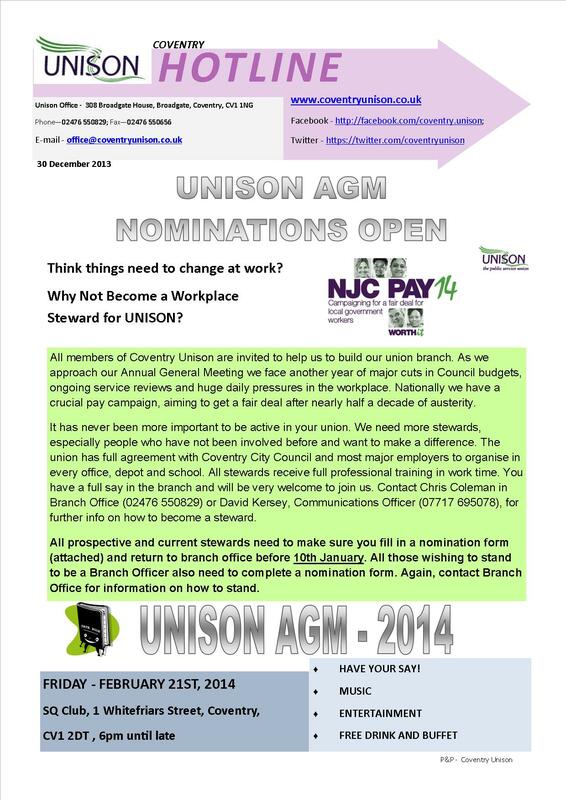 All current and prospective reps and officers are asked to make sure that you fill in and return a nomination form (available from Coventry Branch Office) by 17th December.